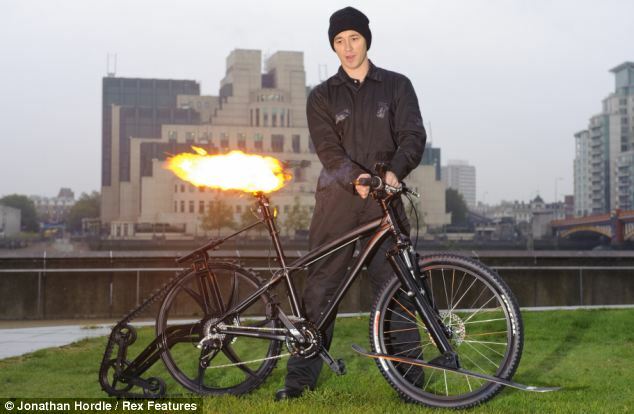 The BOND bike is a new type of bicycle equipped with flame-thrower and ejector seat – an ideal way for 007 to get to work. 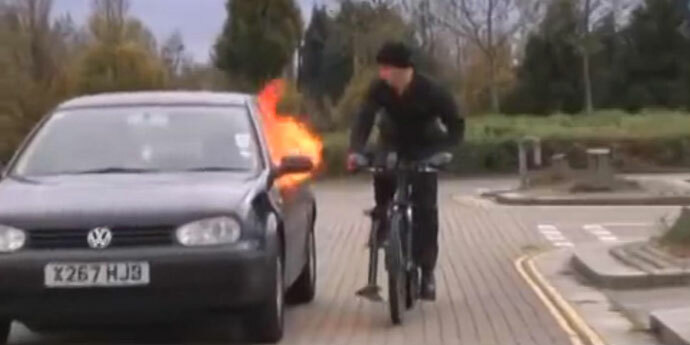 The flame-thrower fitted in the handlebars prevents overtaking motorists getting too close. The ejector seat disposes of thieves who beat the padlock and chain. And the bike – which would make Bond’s gadget inventor, Q, proud -also boasts a caterpillar track for smooth riding over pot-holed roads. Cycle insurer ETA was inspired to build the bicycle after asking 800 cyclists to name their least favourite aspect of life on two wheels. 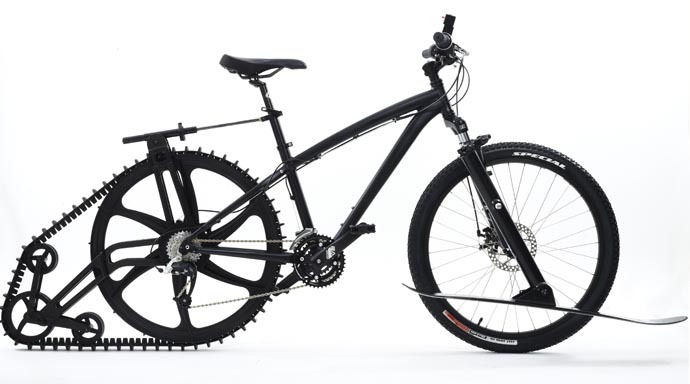 The B.O.N.D Bike bristles with special features designed to address the most common of these gripes. Cycle insurance – what if I don’t have an ejector seat? else), personal accident cover and if you breakdown, they will even come out and recover you and your bike.